888Poker has extended its sponsorship deal with the WSOP and will once again run its steps promotion to the Main Event – with qualifiers starting at $0.01. If you were paying attention to last year´s WSOP Main Event, you will not have missed the story of Tommy Yates. Tommy is an English poker player who now runs a bar on the Greek island of Rhodes. Last year Tommy qualified for the WSOP Main Event through 888Poker´s steps program – turning a $0.01 investment into a $13,000 package, and then finishing in 486th place for a $19,500 cash. 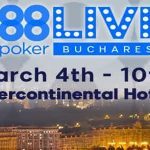 Tommy was one of 128 players who qualified for last year´s WSOP Main Event through 888Poker – including winner Joe McKeehen – and this year 888Poker is hoping to send even more players to the world’s premier poker tournament following the announcement that the site will once again sponsor the summer poker jamboree. There are seven steps in 888Poker’s qualifying schedule this year, but players do not necessarily have to start at the bottom. 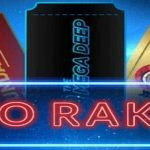 You can leap into a seat at any of the seven different steps and climb your way to a $12,500 package that includes accommodation at the Vdara Hotel, spending money, a massive player’s party and a seat in the WSOP Main Event. 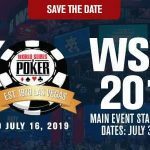 Players who win Step 6 seats have the option of jumping off of the WSOP Main Event Steps program and using their tickets for the WSOP “Crazy Eights” qualifier. This satellite rewards players with a $3,000 package to Event 54 of the WSOP – the $888 buy-in eight-handed “Crazy Eights” side event that guarantees $888,888 to the winner. 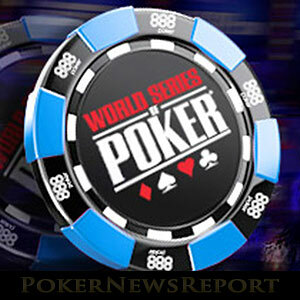 Las Vegas is just one of the exciting locations players can expect to visit via 888Poker’s live events satellites. Last year, players from 888Poker qualified for live events in Tallinn, Marbella, Malta, Berlin (for the WSOPE Main Event) and Belo Horizonte in Brazil. Already this year, qualifiers from 888Poker have enjoyed a trip to Innsbruck for a special ski-themed event, and destinations on the calendar for later this year include Budva in Montenegro as well as “Local Series” events in London, Adelaide and Cyprus. In addition to all the live action players can qualify for through 888Poker, there is plenty going on online. To encourage players to get involved with the action, 888Poker is offering players $88 free poker money just for downloading the software and registering an account (offer may vary depending on your location) and then a 100% match bonus on first deposits up to $600.00. To qualify for the special exclusive $600 888Poker bonus (usually $400.00) players there is no special 888Poker bonus code to use. 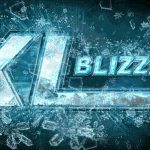 Simply visit the site from one of the links on this page to find out more about the bonus, or read our 888Poker review in which we provide more information about how the bonus is released and the length of times players have to clear it.